Message from Mr. Cassam Uteem, President ATD Fourth World International, introduction 2017 International Annual Report. 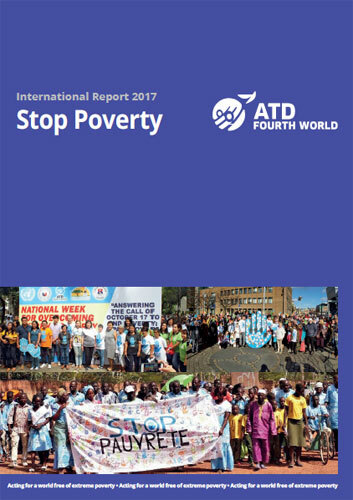 This year was for ATD Fourth World a time of mobilization around a call to action: the international Stop Poverty 2017 campaign, which was launched jointly with the International Committee for October 17. We want to acknowledge, in the first instance, the enthusiastic participation of those thousands of families in extreme poverty who contributed to the successful mobilization around the campaign in more than 30 countries, convinced as they were that they should speak publicly and that they have an original and indispensable contribution to make to the creation of a more just and equitable world to which they all aspire. During this year, that I can without hesitation designate as the year of Joseph Wresinki, the founder of ATD Fourth World, we have seen the publication of several books and the organisation of a high-level international academic symposium on the thought of Wresinski with the participation of academics and people in poverty, as well as the renewal of the website, “Joseph Wresinski”. There was also the compilation of hundreds of Stories of Change showing that extreme poverty is not inevitable and that it can be defeated, while also providing benchmarks for future action. In the artistic field, in addition to the participation of many artists and the creation of songs, hundreds of choirs echoed traditional songs of resistance to extreme poverty. 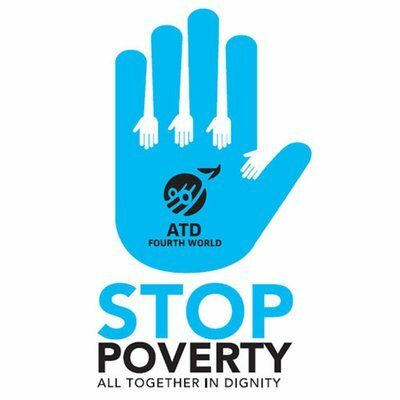 What we have seen expressed is a growing culture of the rejection of extreme poverty throughout the world as shown by the hundreds of thousands of people who actively participated in this campaign, thereby opening spaces of commitment for others to join in helping to overcome the injustice of extreme poverty. It is this same culture that we are trying to spread throughout the international world, so that the United Nations 2030 Agenda for Sustainable Development can be truly achieved. We must constantly clarify and concretize the meaning of “leave no one behind”, which is the leitmotiv of the Sustainable Development Goals. We seek to promote among all decision-makers and managers an increased understanding of extreme poverty as a violation of human rights and, as a consequence, an approach to actions undertaken to address extreme poverty that is informed by access to human rights. This woman reminds us of Joseph Wresinski’s message for today. She reminds us that it is not only a change of thinking or acts of benevolence that are required, but that our consciences need to be stirred. 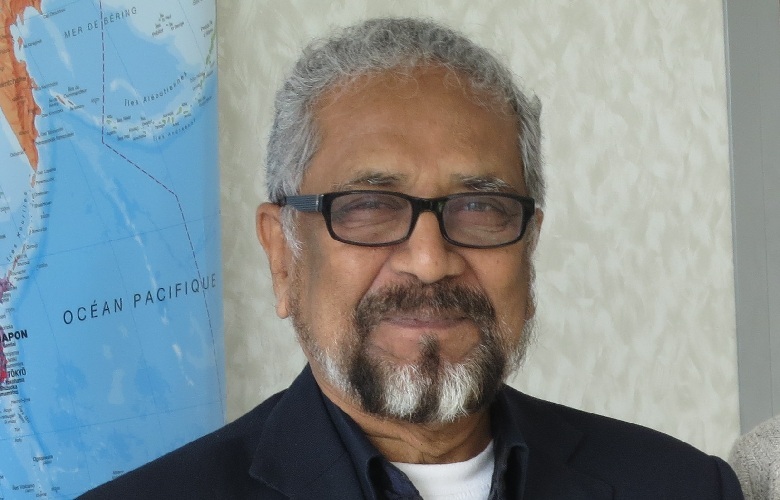 At a time when climate upheavals attest to the fact that our world must and will face changes that we do not yet imagine, do we know with what requirements, what ethics, and whose intelligence we are going to face the challenges ahead? Wanting to build a better world – a world that banishes suffering and the violence of extreme poverty – requires all of us, politicians, NGOs, ordinary citizens, to join with people living in extreme poverty. Without them, the horrors experienced by this mother will continue, or even increase. But with them, we will have benchmarks and an intelligence that will enable us to create a sustainable world for all, as evidenced by the 60-year history of ATD Fourth World and by the many actions cited in our annual report.